ORLANDO, Fla., and ITASCA, Ill., May 12,2009, AirTran Airways, announced today that it will be the first major airline to offer passengers wireless, broadband Internet access on every flight. AirTran Airways is partnering with Aircell, the leader in airborne communications for business and commercial aviation, to offer passengers full inflight Internet service across its entire fleet of Boeing 737 and 717 aircraft. All 136 AirTran Airways jets will be fully outfitted with Gogo(R) Inflight Internet service by mid-summer. "Installing Wi-Fi on every one of our aircraft is another great example of what sets AirTran Airways apart from our competitors," said Bob Fornaro, chairman, president and CEO of AirTran Airways. "Giving business and leisure travelers a consistent, high-quality experience at a low price is a top priority. We feel that Wi-Fi on every flight gives us a distinct competitive advantage over other airlines. Our passengers will know with confidence that no matter which flight they are on, the airplane cabin will be their mobile office, social network, online mall or whatever they want it to be." AirTran Airways passengers will have full Internet access including: Web, e-mail, instant messaging and access to corporate e-mail and network systems (virtual private networks) -- through their Wi-Fi enabled laptops, smartphones and personal digital assistants (PDAs). Gogo Inflight Internet will be available for a small fee based on the length of the flight. "AirTran is known for catering to the needs of its passengers with style. Both its choice and rapid deployment of Gogo Inflight Internet service are testaments to AirTran's long-standing commitment to offer the best inflight experience possible," said Jack Blumenstein, president and CEO of Aircell. "Now that Gogo is here and available, passenger demand has taken off, exceeding even our own expectations. 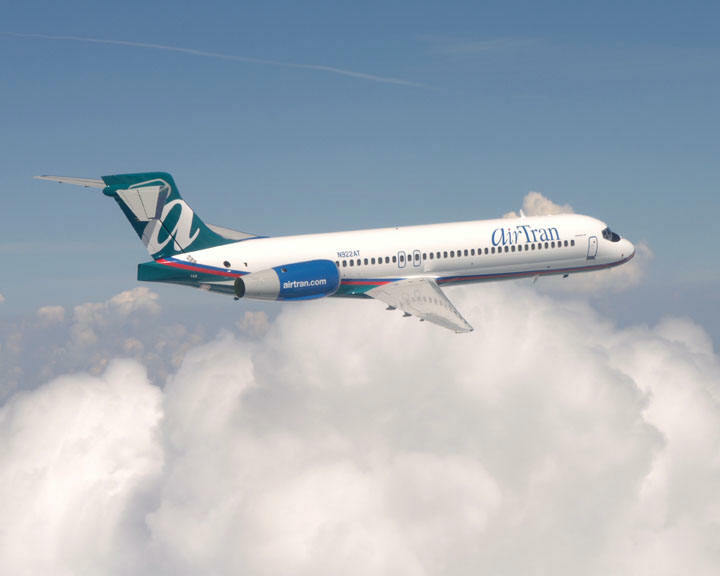 We look forward to enabling AirTran to provide the productivity, entertainment, information and social connectivity its passengers want." Installing Wi-Fi on every AirTran aircraft is the latest in a series of features the Company makes available to all passengers. Other features on every AirTran fight include: assigned seating, Business Class, XM Satellite Radio and more than 22 varieties of Coca-Cola products on North America's newest all-Boeing fleet.